This educational series takes place on a small island in which everything appears quite modern...except for the wooly mammoths everywhere. On Mammoth Island everything is mammoth powered. Your house is cold? A mammoth in the living room will keep things toasty warm. Need hot water for your shower? Tickle the trunk of a sleeping mammoth in just the right spot and he'll provide a warm spray. Need to deliver the mail, or coconuts, or pizzas? Mammoths are there to help! Except, as the residents keep discovering, mammoth power has a definite downside. Mammoth pizza delivery? Too slow. Mammoth-powered house heating? Too risky - if it wakes up you may end up with a mammoth-sized hole in your living room wall. The way each 15-minute episode works is that after a particular deficiency in mammoth power is shown, then a new resident to the Island, known as the Inventor, works with a 14-year-old island resident, Olive, to see if they can come up with something better. And that something better involves the use of machines, both simple and more complex. The series is aimed for Grades 3-6, but my girls, who are all Grade 1 and under, really enjoyed it. I did too. There are so many kids shows that are absolutely brainless, and I can't sit through them. But this one was a pleasure to watch - there was lots for me to learn too. I'd guess that even my oldest girl only understood about half of the explanations - it really is intended for at least Grade 3 – but it did spark her imagination. Every show includes an invention, and she was inspired to try to make her own creative creations. There is only one mild caution to note: one character, Brenda, is a negative nag. She is the nay-sayer who always says the invention isn't going to work. In small doses, that's no big thing. But if you watch this series over the course of a couple weeks, like we did, it does get a bit tiresome. And, particularly with younger audiences, it might then be good to note that Brenda is not being a team-player or a good example. I was wondering, because of all the mammoths, whether the series would bring up evolution. However, that topic is never raised. There are mammoths on this island, but no reason is ever offered as to why. This is a great series for the whole family to enjoy - younger kids will love the humor, and older children and even teens and adults, can learn a little something from it. Also, the short 15-minute episodes make it a nice way to watch a moderate amount of TV - the family can watch an episode or two without running through the whole afternoon. 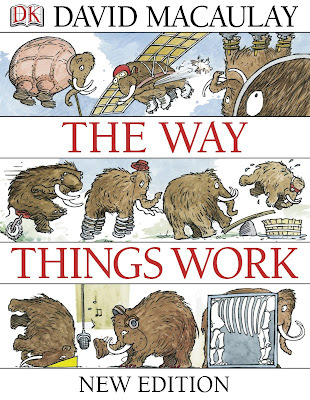 The series takes it's inspiration from author/illustrator David Macaulay's The Way Things Work children's book, and while I've only skimmed through it, it looks interesting too (and mammoths also have a starring role). I should note that while The Way Things Work is a fantastic television series it is definitely not one to buy. Here in North America this 26-episode series goes for more than $500 and his marketed only to schools and libraries. That's where we got it - from our local library, where all the episodes were available, with no waiting. I've checked a few other libraries across Canada, and it's in many of them too. 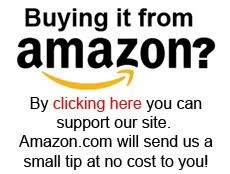 So check it out - our family highly recommends it. Every thing have it's own working ways. If you implement the others work to the other work then you may not saw its professional paper writing work. If you implement this on correct thing then this is good for your work and you can easily judge it.